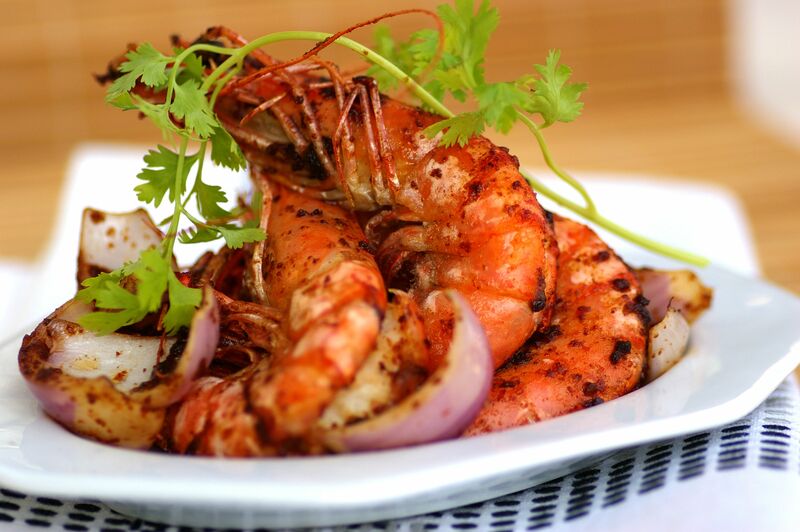 Here is the recipe for spicy hot prawns to give an extra oomph to your palate. Wash prawns and make a light slash on the back of the prawns. Remove the black entrails. Rinse and drain the prawns well, then marinate with salt and pepper for about 10 minutes. Heat 1 tablespoon oil in a wok to fry the prawns briefly, until they turn a bright red colour. Dish out and set aside. In a clean wok, heat the remaining 1 tablespoon oil and the sesame oil. Fry the ginger, shallots, garlic, dried chillies and bird’s eye chillies until fragrant. Pour in the combined sauce ingredients and bring to boil. Add the prawns and onion. Stir-fry briskly before dishing out to serve.